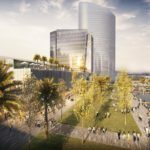 JACKSONVILLE, Fla. – Iguana Investments today delivered to the Jacksonville Downtown Investment Authority (DIA) its vision for the first phase development of the Shipyards. 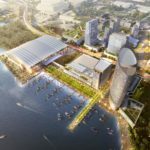 The proposal includes the construction of a riverfront convention center and accompanying hotel and was created in partnership with the joint venture of the DeBartolo Development Company and Rimrock Devlin Development. To access conceptual renderings included in the proposal, please click here. 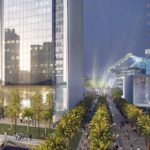 A development entity created by Jacksonville Jaguars owner Shad Khan, Iguana Investments was selected by the DIA in April 2017 as the master developer of Jacksonville’s Shipyards, a 70-acre stretch of riverfront property south of TIAA Bank Field in downtown Jacksonville. 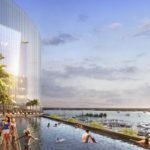 Highlights of the Rimrock Devlin DeBartolo proposal include a 490,000-square-foot state-of-the-art public convention center and convention hotel with views of and access to the St. Johns River and public riverwalk. 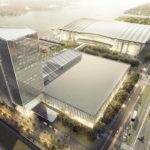 The convention center hotel also includes a 200,000-square-foot multi-purpose exhibit hall, a 40,000-square-foot ballroom with elevated views of the river and 45 breakout rooms. 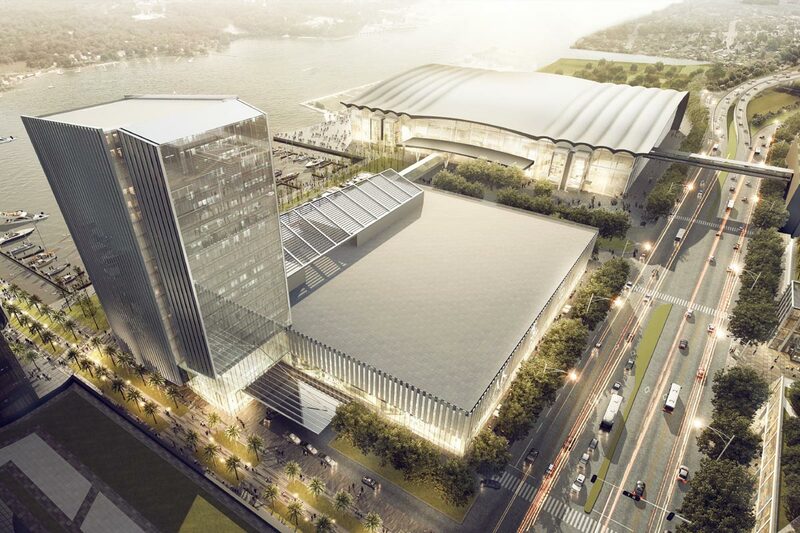 A 350-key full-service hotel would connect to the convention space and offer additional ballroom and meeting space, a rooftop pool and ground floor retail and restaurant opportunities along Bay Street. Rimrock Devlin is a nationally recognized commercial real estate development services firm on a mission to build better communities where people live, work and play. We believe the quality we deliver is the result of uncompromising dedication, wise effort and skillful execution.